A lot is on the line for the Dallas Cowboys and Detroit Lions in this week's match up at AT&T Stadium, with both teams at 1-2. The Cowboys and Lions have played their share of meaningful and competitive games in recent years, and this one expects to be no different. 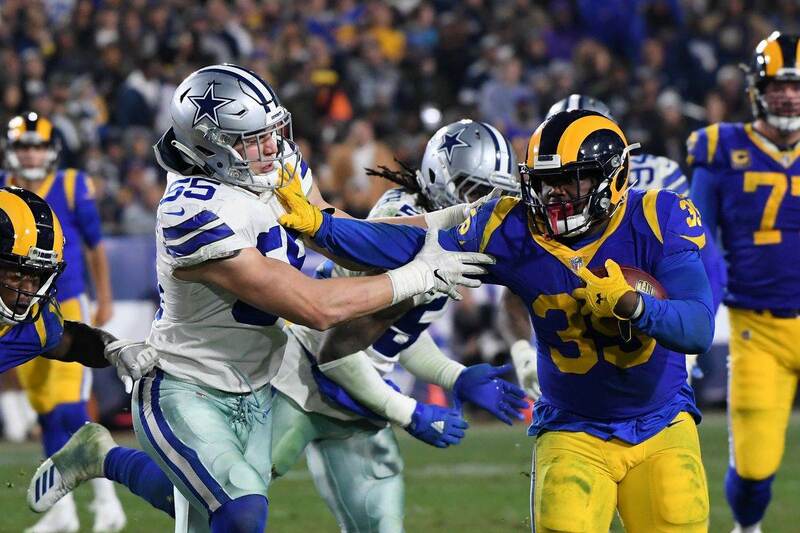 If you believe in week three talking points having any merit, the Lions are the team coming to Dallas with momentum while the Cowboys have been faced with doom and gloom ever since returning from Seattle. The Lions did start the season 0-2, with reports that first-year Head Coach Matt Patricia was already losing his new team in the locker room, but a prime time win over the New England Patriots remedied all of this. Now, it is the Cowboys coaching staff hoping to do the same with a resurgent performance against the NFL's top passing defense - seemingly a tall order for Scott Linehan's offense. Linehan has hinted at the Cowboys adding some much-needed wrinkles to the team's game plan this week. His quarterback, Dak Prescott, was able to provide some clarity on Linehan's comments, telling the media that the Cowboys plan to "sling it around" against the Lions. Again, this is a bold strategy going against a team that's defended the pass exceptionally well while struggling more than any other against the run. 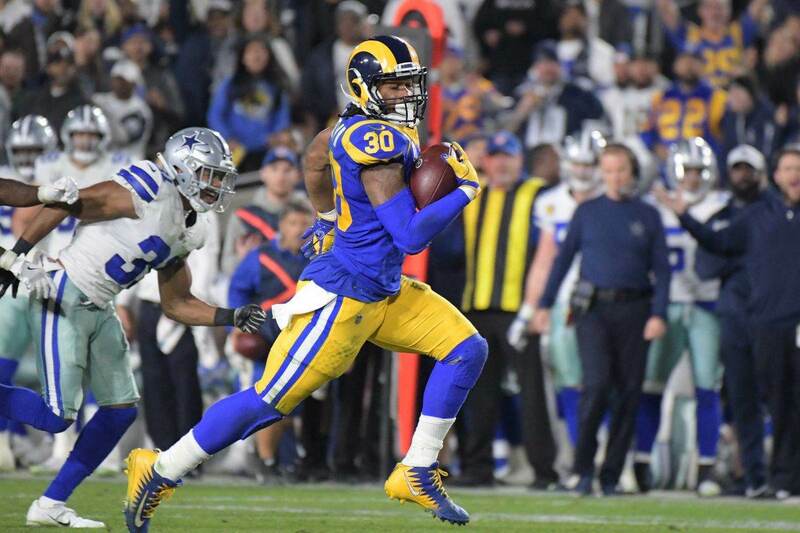 Cowboys Running Back Ezekiel Elliott is second to Todd Gurley in rushing yards this season. He'll be the first to tell you that his 274 yards on the ground are mostly empty without the Cowboys wins to show for it, making his continued presence against the Lions all the more important. Elliott can remain the key for the Cowboys to unlock their struggling passing game. 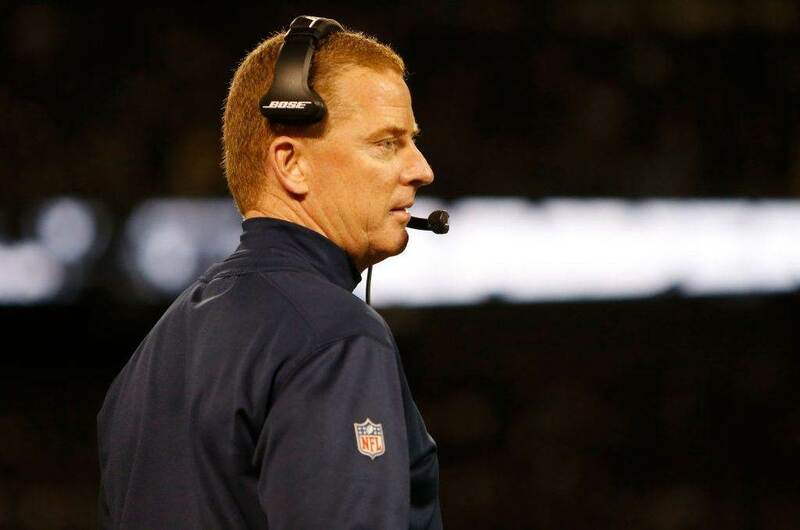 The Lions struggled against play action passes from the Patriots last week, something New England was forced to abandon thanks to the score - just as Dallas has with their own running and PA options. This was just one takeaway I found when watching the Lions defense hold Tom Brady to 133 yards with a longest completion of just 19 yards, coming away with the impression that Sunday could be another difficult afternoon for Prescott in the pocket. This first clip is an outstanding play from Lions safety Glover Quinn. Traditionally a two high safety team, the Lions are mixing up their looks in the back end more under Patricia. Still as committed as ever to playing man coverage, Quinn ends up playing single high with the inside route coming his way. If there was one weakness on film from the Lions secondary, it was their inability to consistently pass off receivers through the second and third level. More times than not though, their speed made up for this, as Quinn ensures here. This is a defense that will punish mistimed or inaccurate throws. Despite the extra defensive back doing little to reroute Hogan, Quinn finds a way to remain on top of the throw and break on it. This ball is just slightly behind his target for Brady, who never had much of a window to hit Hogan anyway. This next clip is a great example of why the Cowboys will need to establish Elliott on the ground early in this week's game. Although they lack the receiving threat at tight end to execute this play exactly (the Cowboys are second to last with eight TE receptions this season, the Lions being one of three teams with six), the Lions aggressiveness at linebacker stands out. Overall, this is a fast defense that reacts to the ball and uses the boundary to its advantage, all traits of Patricia's Super Bowl winning defenses in New England. Lined up with a wide front in the play above, the MIKE linebacker is forced to react to the pulling guard off the snap. As soon as this action is effective for the Patriots, Brady knows where he's going with the football. Giving this linebacker no chance to get back in the play, especially with the WILL giving Rob Gronkowski a free release by following the run fake, Brady connects with his favorite target for an easy gain. Again, the Cowboys don't have the same go-to tight end, but this is easily a concept that Linehan could run with Cole Beasley or even Elliott as a receiver to create that successful wrinkle. This last play comes down to a fantastic individual effort from the Lions best cover man, cornerback Darius Slay. Coming away with the interception on the play, Slay utilizes the help from his deep safety brilliantly. Overall, the Lions did a much better job not biting on the play fake here, giving their coverage a chance to hold up. The Lions drop six into coverage, relying on that deep safety to make the right read if the Patriots run a vertical concept like this one. Doing just that, Slay flips his hips to the inside and remains in position to pick off this pass with the ball in the air. When Brady releases the ball, he sees the safety at shallow enough depth to be taken over the top, but as the Lions secondary does so well he's able to cover the needed ground. The Lions may lead the NFL in completed passes against with 48, but they've also faced just 73 attempts. Both Isaiah Crowell and Matt Breida eclipsed 100 rushing yards against the Lions in their two season opening losses. Breida is currently tied with Elliott for second in total rushing yards this season. The Cowboys defense is playing without Sean Lee in this game too. Despite optimism that they're prepared to handle his loss better than last season thanks to rookie Leighton Vander Esch, the Cowboys know they're not winning games because of Rod Marinelli's defense - even with Lee. It's time for the offense to finish drives and allow this talented defense to protect the lead, something their passing attack must accomplish. 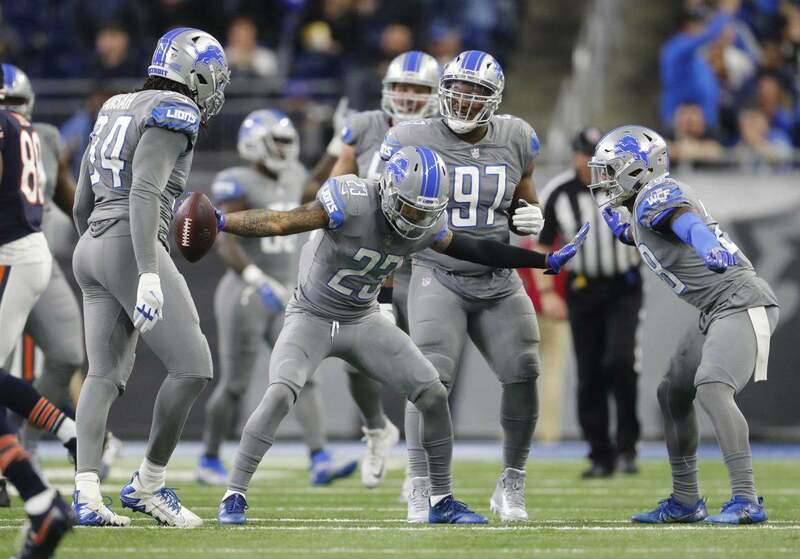 Failure to do so against the Lions would see Detroit even their record at 2-2 with back-to-back impressive wins, allowing for hope in the NFC North at the hands of the Cowboys NFC East outlook taking a major blow. Tell us what you think about "Sean’s Scout: Lions Secondary is Latest Problem for Cowboys Passing Attack" in the comments below. You can also email me at Sean.Martin@InsideTheStar.com, or Tweet to me at @SeanMartinNFL!